Wi-Fi is a popular technology that allows devices to exchange data wirelessly over a computer network, including high-speed internet connection. The technology is based on the Institute of Electrical and Electronics Engineers’ (IEEE) 802.11 standards and is now one of the most used technologies when it comes to the wireless exchange of data. And throughout the years, the technology has evolved to be faster and more accessible than ever. Moreover, the number of devices that come equipped with the technology has also risen and now includes mobile phones, tablets, TVs, laptops, gaming consoles, and even household appliances. Having said this, more and more people are now taking interest in getting their own wireless network at home. And although it may look quite daunting to setup a wireless network, it’s actually not that hard to do. Here’s how. Before anything else, we have to make sure first that we are connected to the internet using a wired or cable connection. We are doing this so that in case we encounter any problem with our network during setup, we can easily eliminate issues with the service provider and isolate the issue with only our setup. Once we’re sure that we have a working internet connection, you can now connect your wireless router to the modem provided by your internet service provider using an Ethernet cable (this is usually the yellow one). Once you’ve done this, check again if you have an internet connection. Your setup should follow this configuration. If you are able to connect to the internet, you can proceed with the next step. Otherwise, you may need to reconfigure either the modem or the router to establish an internet connection (for this you may need to call your service provider for further assistance). Now that a stable wired connection is at place, we can now start setting up your wireless network. To start off, you must access the modem’s graphical user interface otherwise known as the GUI. Depending on the brand of the router, it is accessible via an ip address (usually it starts with 192.168.x.x) from any internet browser. You can either look at the router’s user manual for this ip address, look it up from your computer’s command line or in some cases at the bottom of the router itself. Once you’ve accessed the router’s GUI, all you need to do is find the part of the page that deals with the wireless network. The router’s GUI is designed to be intuitive with the basic settings usually laid out in an easy to read manner. Once that’s done, just fill out the field for SSID with your desired network name. 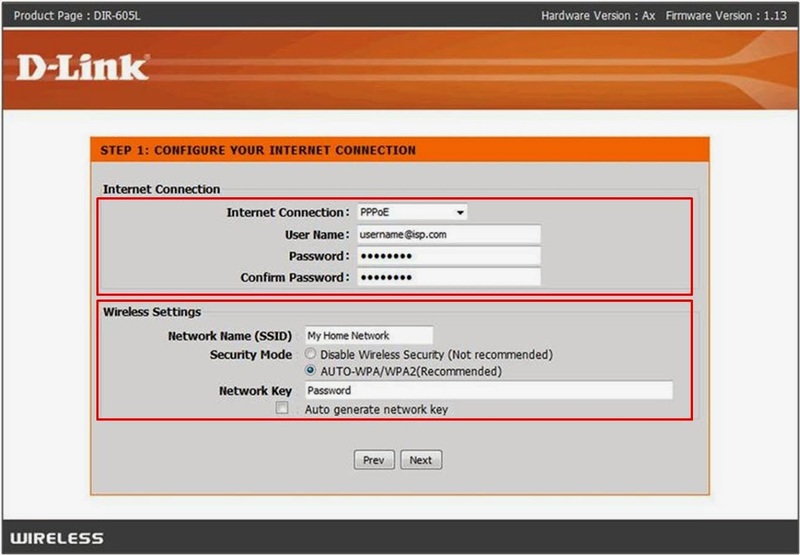 Users can select to use the traditional WEP (Wired Equivalent Privacy) key or WPA/WPA2 (Wi-Fi Portected Access) key to secure their networks. The difference between the two (at least for the common man’s concern) is that a WEP key requires a user to use only hexadecimal characters (A-F and 0-9) only, while a WPA/WPA2 key allows users to use a wider selection of characters (A-Z, 0-9 and even special characters). Once that’s done, you can now scan and connect your wireless device (phone, tablet, etc) to your network using the same network name and security key. Do you have any questions? Just let us know by leaving a comment below. We’ll try to answer any questions as soon as we can. For other tech news and stories, you can subscribe to our site or add us up on Facebook, Twitter, Pinterest and Google Plus.